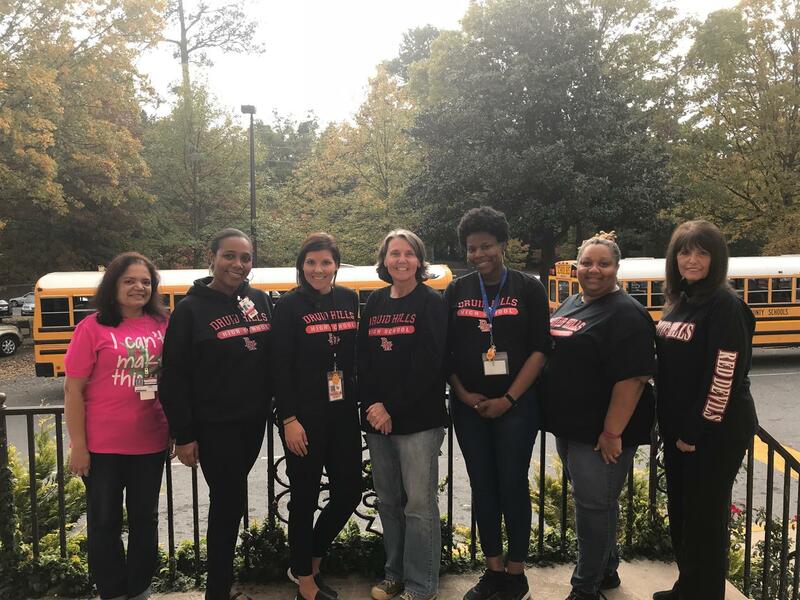 The Druid Hills Counseling Department aims to provide a comprehensive school counseling program that supports students' academic, career and social/emotional development. Please visit the Counseling Website for all counseling related information. How Can I See My Counselor? Students are able to see their counselor as needed with a pass from their teacher or by emailing their counselor to set up an appointment. If the student's assigned counselor is not available, there is always a counselor on call for students in social or emotional distress. For academic or non-emergent meetings, students will complete a "Let's Talk" pass for the counselor to call for them once available. How Can I Contact My Counselor? The preferred method of contact is by email. Students can also complete a Let's Talk pass with Ms. Vicki at the counseling desk. I'm a Parent, How Do I Meet With My Child's Counselor? Parent appointments are available by request. Please email or call the counselor of record to request an appointment time.